Many of you may be on the fence when it comes to waiting for the iPhone 6 to be announced and ship, versus upgrading your current phone to the 5s. I know I was. If you’re holding out for the new one, you’ve got my blessing to move along. For those considering the 5s, own a 5 (or have recently upgraded) however, read on. 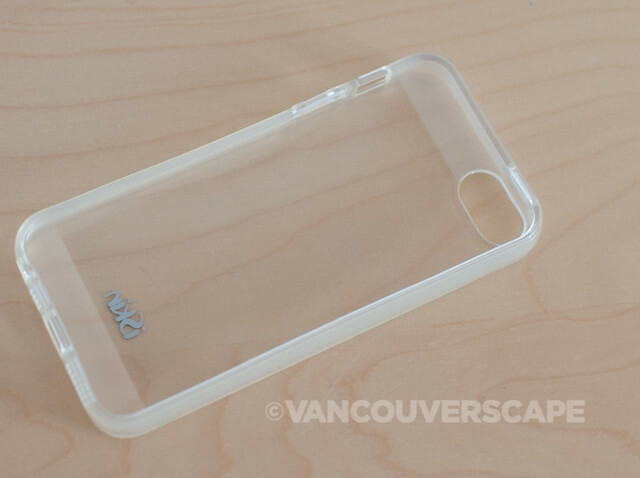 I’ve been test-driving a series of clear iPhone 5/5s cases in this ‘between releases’ season. Last week, I gave the Incase Snap Case a go. This time, it’s the iSkin Claro. 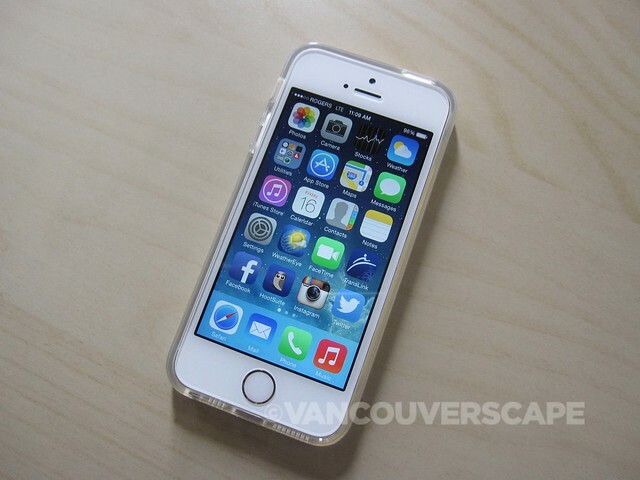 Toronto-based iSkin’s newest arrival, the Claro, adds only millimeters to your iPhone while protecting it. I like the fact that iSkin sees the 5/5s case investment worthy of updated product potentially a few months ahead of the rumoured 6. The Claro’s designed in Canada and comes in Ultra Clear, Diva Pink, and Electric Blue. 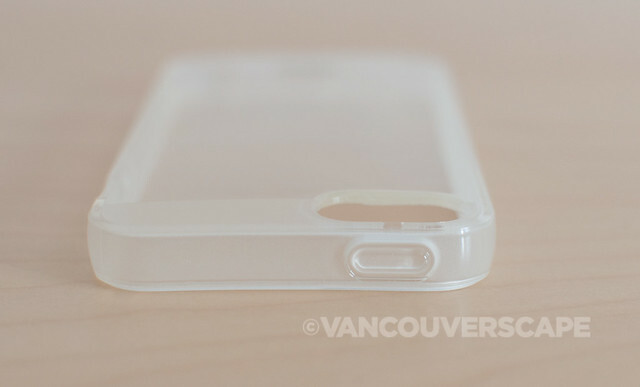 The case is flexible, its top lip grippier than that of a hard-plastic case. 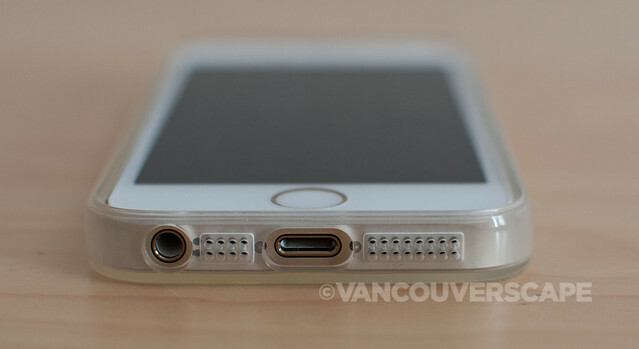 Unlike Incase’s Snap Case, a similar model, the volume and power buttons are covered, and the bottom cut-outs reveal the headphone and charging port. Depends on your personal preference. The buttons all work fine when I tested the Claro. The back also has a cut-out for the camera phone. The Claro is similarly easy to put on and take off of your phone. When I looked for comparisons between the two (other than the covered port holes), the biggest in terms of surface is the finish. 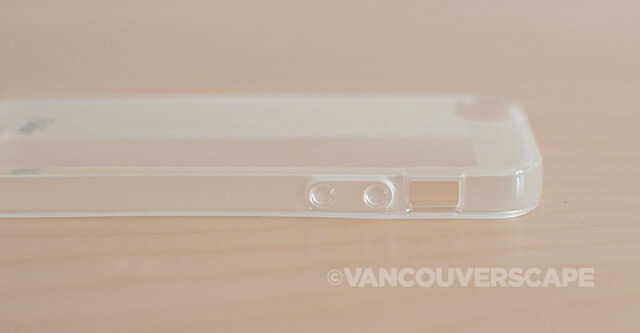 The Claro’s back top and bottom portions mimic the iPhone’s white band, with a frosted accent. The case’s sides are frosted to match. Depending on your color choice, Claro’s scratch- and stain-resistant back layer allows the beauty of your iPhone 5s Gold, Silver, Space Grey (or Black and Slate/White and Silver 5) to shine through. The case’s protective dual-layer design absorbs impacts, resists moisture, and protects around the iPhone’s screen. The Claro includes an anti-static cleaning wipe and a couple of stickers. I noticed that there’s no screen shield though. 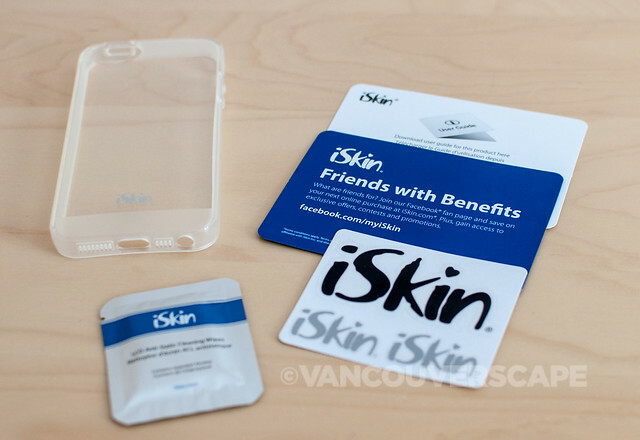 I’m guessing that’s because iSkin offers the GearCare package including a proprietary iSkin TITAN high-impact screen, an optional insurance policy available for $24.99 (US and Canada only). The price includes a one year accidental damage warranty. Think dropped phone, cracked display, sensor, audio, camera, reception, or system failure, liquid damage, etc. You’ll have a year’s worth of peace of mind even if your iPhone’s been unlocked, jailbroken or out of Apple’s warranty period. Where most service warranties normally cover technical problems, GearCare insurance is covered for daily handling problems. 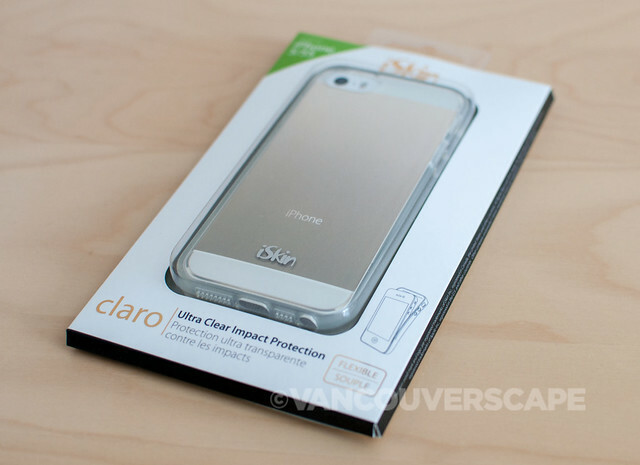 The Claro retails for US $24.99, is available online, and comes with a one year manufacturer’s product warranty. Disclosure note: I was sent the iSkin Claro for the purpose of writing this review. Unwatermarked photos courtesy of iSkin.